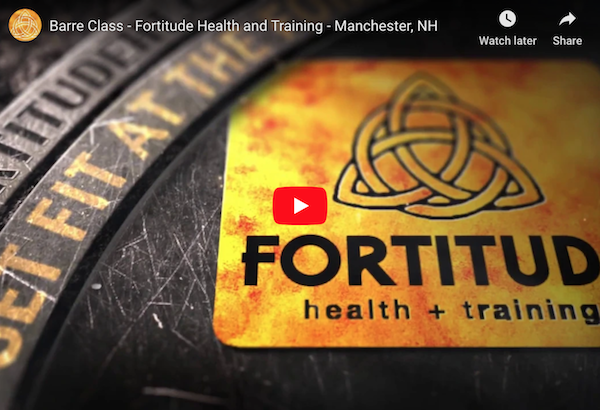 Fortitude Health and Training’s Co-Owners, Lisa and Danielle, have been leading folks to become in amazing shape for over 29 years via their kicking group training and fitness classes! Along with their staff, Lisa and Danielle have inspired thousands – and once you get under their wing, you’ll never want to turn back. 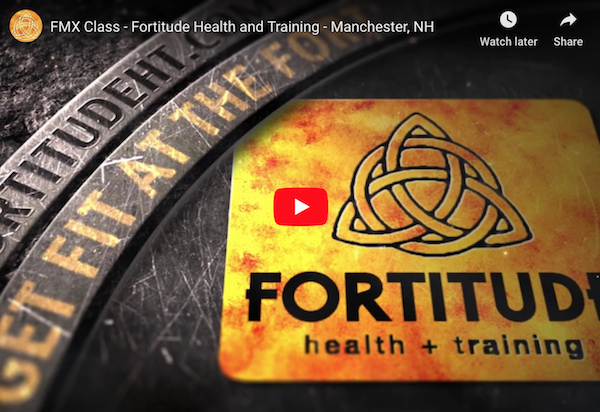 The Fort offers 40 classes/week: Kickboxing, TRX Suspension Training, BootCamp, Barre, Iron Strength Training, FMX, Yoga and more. There’s a time and a class for everyone! You can do it! 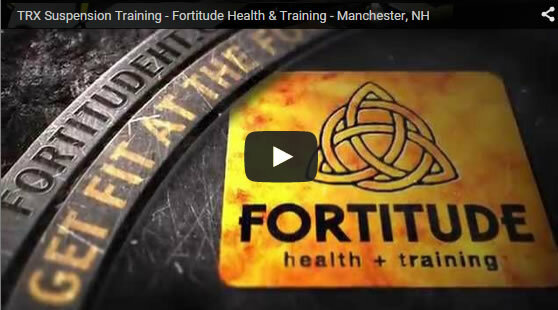 Catch a glimpse of some of The Fort’s classes in the one minute videos below. Then Catch One in Person! REMEMBER – bring a friend and the first visit is FREE! Childcare is available M-F at 9:00 and Mon/Thurs evenings from 4:15-6:15. It’s free and requires your child be signed up in advance. If you tired of hitting up the same machines, day-in & day-out, TRX Suspension Training may just be thing to get you out of a rut. TRX (Total Resistance eXercise) was developed by Navy SEALs while on deployment, when they had little access to gym equipment. Using suspension straps and bodyweight exercises, TRX helps develop strength, balance, flexibility, and core stability. Fortitude Health & Training uses the TRX Suspension Trainer to help leverage gravity and body weight to do hundreds of different movements. No class is ever the same! The beauty of doing suspension training with TRX is the simplicity: users can easily adjust their position to make an exercise easier or more difficult. 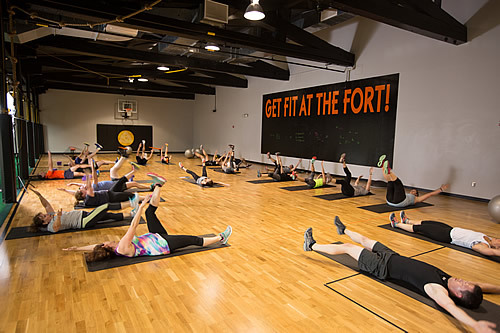 With this type of flexibility, and the ability to move quickly between different movements, your trainers at The Fort will have your heart beating and your muscles working all class long. As an added bonus, almost every exercise involves your core! Multi tasking at it’s best… work your biceps, triceps, chest and back while working your core. Join us today for TRX – it’s perfect for all levels. Make your body your machine! 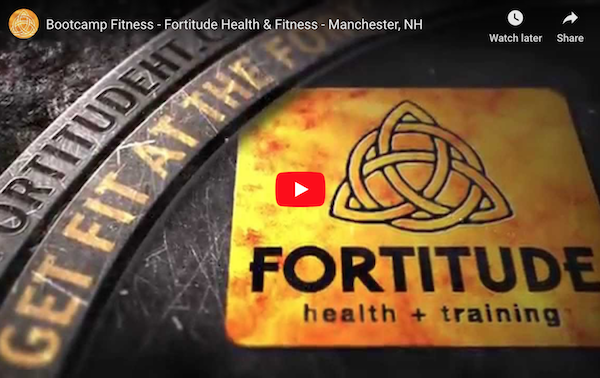 TRX Iron – Get your strength training in! A perfect mix of exercises on and off of the straps. All levels. 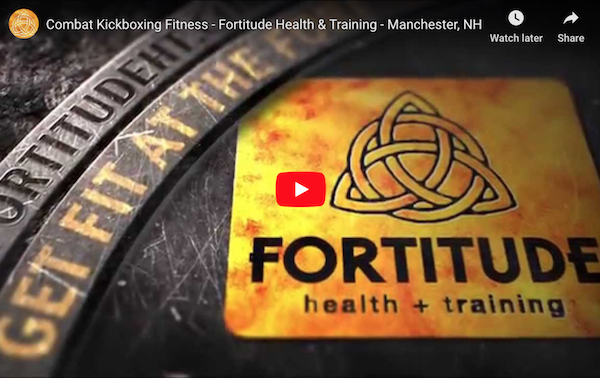 Kickboxing blends athletic drills with martial arts to create an intense cardiovascular workout. So fun! Come hit the bag with us. We will show you the moves:) Uses gloves and bags to pack a powerful fitness punch. Huge calorie burn. All levels.